Together with Dr. Steve Scherer (Director of the Toronto Center or Genomics at SickKids, Toronto), he founded, and acted as the interim CEO of YouNique Genomics, Canada’s first personalized and lifestyle genomics institute. He is the holder of several patents in the general fields of molecular diagnostics and genomics research, and is one of the most sought-after national and international conference speakers in the genre of personalized medicine. Concomitant with his postdoctoral fellowship at Baylor College of Medicine (2001), Dr. Mohammed was instrumental in the development and commercialization of the industry’s first available comparative genomic hybridization (CGH) arrays. He has since been widely regarded as one of the primary innovators in the diagnostic application of genomic microarrays and has contributed to seminal studies in that field. He was the co-primary author of the first peer-reviewed study utilizing microarray CGH techniques in the clinical diagnosis of developmental abnormalities (2002) and later (2008) was the senior author of the first peer-reviewed study utilizing microarray CGH techniques for clinical oncology purposes. The CGH technologies that Dr. Mohammed helped to develop and commercialize have continued to revolutionize the understanding of the human genome and have spawned thousands of peer-reviewed papers across the international academic community. Considered by Dr. Mohammed as one of the early highlights of his career and in recognition of his contributions to developing genomic microarray technologies, he was invited as a plenary speaker to commemorate the 50th anniversary of the discovery of the DNA double helix at the world Human Genome Organization meeting (Cancun, Mexico 2003). Dr. Mohammed was a founder (2001) and Director of Research and Development at Spectral Genomics Inc. Under Dr. Mohammed’s scientific stewardship, Spectral Genomics quickly grew from a start-up funded by Baylor College of Medicine, to an authority in the emerging field of medical comparative genomics and was eventually acquired by PerkinElmer Inc.
With the acquisition of Spectral Genomics, Dr. Mohammed was invited to head the (then) newly established Advanced Technologies Department at North America’s largest diagnostics reference laboratory, Quest Diagnostics Inc. (2003-2006). Overseeing a state of the art facility at Quest, he was responsible for designing the roadmap and executing the adoption of new diagnostic technologies for this Fortune 500 Company (Market Capitalization exceeding 8 billion US). Within his first year at Quest, Dr. Mohammed was honored with the Patent Innovation Award for prolific innovations and discoveries and notably during his tenure was the youngest recipient of the Medical Innovation Award: Quest’s highest and most prestigious employee recognition award. In 2006, Dr. Mohammed was recruited to co-found and lead the development of Combimatrix Molecular Diagnostics (CMDX). He served as the latter’s Chief Scientific Officer, Chief Operating Officer and for his last 4 years of tenure, as Chief Executive Officer. Under his leadership, CMDX became the first diagnostic company offering genomic microarray-based diagnostics to receive an official “freedom to operate” clearance by the FDA. Moreover, under his guidance, CMDX developed and launched the most comprehensive portfolio of clinically validated genomics based tests in the industry and witnessed 9 consecutive quarters of financial growth with its stock price growing from ~$4/share to over $16/share (Nasdaq). 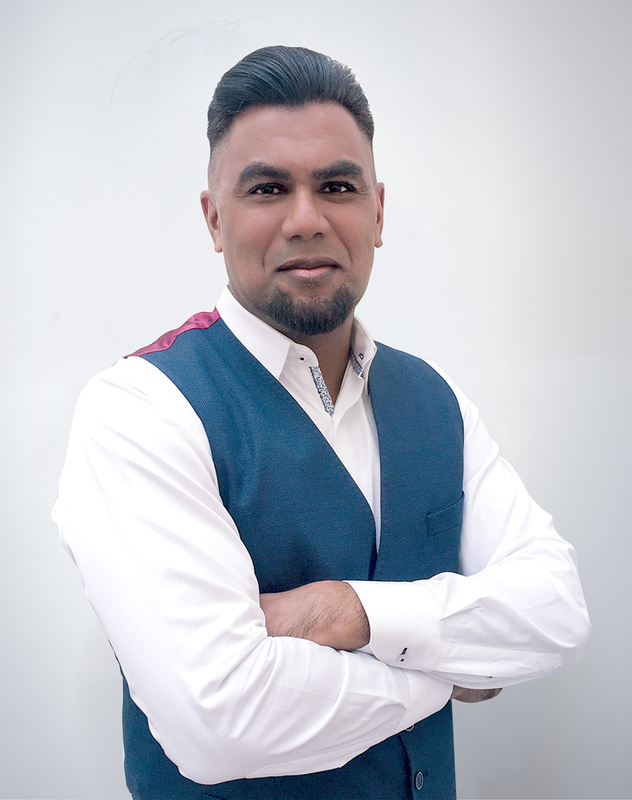 After a decade of intense professional growth, and with an extensive network of academic, clinical and industrial colleagues, Dr. Mohammed left CMDX in October 2010 to pursue the launch of his own firm, ManaGeneDx Inc. ManaGeneDx is focused on providing best-in-class consulting services to the personalized medicine and diagnostic service sectors. It capitalizes on Dr. Mohammed’s unique breadth and depth of experience to help companies and clinics navigate through the complex ecosystem characteristic of personalized medicine and diagnostics ventures. ManaGeneDx counts as its clients, medical clinics, diagnostic companies and research institutes in the US, Canada, Europe, Asia and the Middle East. Most recently, through ManaGeneDx, Dr. Mohammed has been at the forefront of introducing personalized medicine and lifestyle genomics to concierge and executive medical clinics across the globe. Dr. Mohammed has served on the Canadian Board of Autistic Research and is a consultant to the world-renowned Toronto Center of Applied Genomics. He has had the honor of being the personal guest of the former Premiere of Ontario, the Honorable Dalton McGuinty, and on several occasions, the guest of the Canadian Consulate of California. He has also sat on several think tank panels, including ones from the FDA and National Institute of Health (NIH) and is a frequent academic lecturer on the role of genomics in medicine.